Rules effective for Series 11. Hobie Kayak Bream Series 11 is designed to offer kayak anglers competitive Bream fishing tournaments. All events are open to all makes of kayaks except for the Australian Championship, where all competitors are provided with identically fitted out Hobie MirageDrive® kayaks. The Hobie Kayak Bream Series shall have its own qualifying rounds, payouts and prize schedule. The series shall consist of two-day events only. All tournaments are cast and retrieve, lure and fly only, and involve an angler bringing back to the weigh-in, his or her, heaviest bag of own caught, live, legal bream. The events shall be a combined bag weight tournament. Only Hobie Pro Angler 17T Tandem (PA17T) kayaks are permitted in the PA17T Teams Division. $100.00 for an on time entry. The entry form and payment shall be completed by midnight AEST on the Friday the week before the event (7 days). Entries received after this time shall incur a late payment fee of $45 which competitors are required to pay to enter the tournament. Online entry will close at 10 am on the Thursday prior to the event. Anglers may then enter on the day. Entry forms will be available at registration on the first day of the event. The same late payment fee will still apply. Due to council permit limitations, “on the day entries” will not be taken for Round 3 to be held in Sydney, NSW.  Hobie PA17T Division entries are $100 (Two Day Events) for an on-time entry. First time entrants are eligible to choose a one-time free entry fee, but are NOT eligible for prizes, scores will not be recorded and do not contribute to AOY points. First time entrant discounts are only eligible for 1 (one) event in any Hobie Fishing Bream Series. First time discounts do not apply per season or per year. Grand Masters (65 and over) – the age is to be determined as at 31 December of the calendar year of the event (eg 2019). Grand Masters (65 or over) are eligible for 50% discount on entries during checkout. Masters (60 – 64yrs) – the age is to be determined as at 31 December of the calendar year of the event (eg 2019). Youth (16 – under 21yrs) – Youth competitors must be 16 years of age (as at the date of the event) and under 21 years of age on 31 December of the calendar year of the event (eg 2019). Youth (aged 16 Years) are eligible for 50% discount on entries during checkout. The requirement of being an ABT member is no longer required. Hobie Pro Angler 17T Teams – The PA17T must be fished with two persons (no singles allowed) on board, and to encourage family fishing, we will allow parents or guardians to fish with children 6 years of age or older. There must be a minimum of three anglers entered in a division for a winner to be declared and a sponsor prize pack to be awarded. An angler must have caught and weighed-in a minimum of one legal fish to be declared the divisional winner. All divisional entrants are still eligible to win prize payouts and prize packs in the main field of anglers. Only one other Division can be nominated other than OPEN. For 2019, anglers will not be required to join the ABT. However, anglers will need to sign up for a free Hobie membership card. This new individually numbered Hobie card will be sent to each member. This card/number will need to be presented for entry and registration at all events. This card/number will NOT need to be presented for entry and registration at events where the Angler enters the event(s) online. ON THE DAY entrants must present their Hobie Card. We use the unique Hobie Membership Club Number to assign angler’s points to the Angler of the Year (AOY) report. In order for your AOY points to be correctly allocated to you, you must ensure the correct number is entered into your entry forms. A $100 prize for the biggest bream of the tournament shall be awarded at each Hobie Kayak Bream Series event and shall be known as the Atomic Big Bream. The Hobie Kayak Bream Series offer prizes and cash payouts and will vary from event to event. Prize payout: In a 49-angler field, prizes shall be paid to 4th and 5th place only in the open class. In a 50+ angler field, prizes shall be from 4th place to 10th place in the open class. Cash payouts: In a 49-angler field cash payout shall be from 1st to 5th and cash payout from 1st to 10th in a 50+ angler field. Payments will be made within 10 days at the completion of the round, when possible. Trophies: Will be handled out in leu of prices to the first three places in both 49-angler and 50+ angler fields. Any late entry fees over and above the on-time entry payment shall not count towards the prize pools. All divisional entrants, Open, Grand Masters, Masters, Women, and Youth are eligible to win prize payouts and prize packs in the main field of anglers. “First Timer and Hobie PA17T entrants refer to “Entry Fees and Divisions section (2)”. Hobie PA17T anglers will not be in the running for the Open division prize pool or Angler of the Year points but will have their own sponsor prize packs. The care of fellow competitors and tournament staff is of the utmost importance. If an angler or a tournament staff member is in distress it is expected that other competitors shall assist. Safety is more important than your day’s catch. 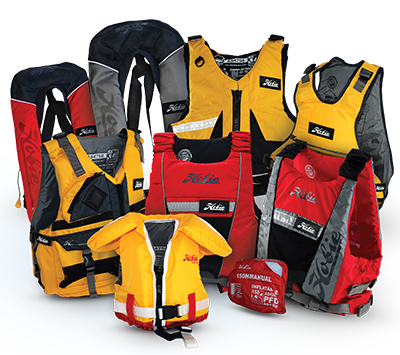 Inflatable lifejackets must be serviced in accordance with the manufacturer’s instructions, or state regulations. All competitors shall be issued with a key-tag. The key tag shall be placed on the key-tag board before the allocated finish time. Organisers shall search for late returning anglers. The tournament organisers reserve the right to reduce the fishing arena, change start or finish times, change the start and finish location and postpone or cancel a tournament if they deem it necessary for the safety of anglers or required by authorities. All tournament staff (director, media, scorer and support staff) have the right to direct any angler back to shore, at any time, in the interest of safety. If for safety or any other reason, the Tournament Director calls for a stop to fishing, the session shall be deemed cancelled for ALL anglers (whether they are or are not aware of the cancellation) and no fish shall be weighed-in by any angler. The tournament organisers reserve the right to disallow anglers with unsafe kayaks from competing. Anglers shall use their own kayak, tackle, and safety equipment. Anglers shall be 16 years of age, or older, at the time of the tournament. Proof of age and guardian waiver may be required. All entries require full payment within 24 hrs of submission to be eligible. It is the responsibility of the competitor to contact Hobie Fishing (via entries@hobiefishing.com.au) if their entry is not listed on the event page at hobiefishing.com.au. Cancellation of an entry before the closing date for “on time entries” shall result in a refund. Refer to specific event info sheet for dates. Cancellation of an entry after the closing date for “on time entries” shall incur a 20% cancellation fee. Cancellation of an entry on the Pre-fish, Navigation or Tournament day shall result in the forfeit of the entire entry fee, regardless of the reason. A pre-fish ban means anglers are not allowed on competition waterways and linked systems within a 20km radius of the event launch location for ANY REASON during the specified (pre-fish ban) dates for each event. There will be a pre-fish ban on all competition waterways and linked systems from Monday of the week prior to the competition, until the day before the competition, when pre-fishing will be permitted. Event Date: Saturday 30th and Sunday 31st January. Pre-fish Ban starts and includes Monday the 18th January. Pre-fish Ban finishes (fishing allowed) Friday 29th January. Georges River Round 3 – Pre-fish ban, for this event only, has been moved due to ABT Bream round the previous weekend. Pre-fish ban for the Georges River Round 3, will begin on Sunday, March 24th at 5pm. Please refer to the specific event information sheet for details of pre-fish ban dates. A practice navigation day may be nominated by the tournament organisers. Please refer to the specific event information sheet for details. The Australian Championship location will have a total pre-fish ban of 30 days from published pre-fish date. Prior to the start of each competition, competitors shall go to the pre-arranged location where an official shall check that they have a Level 100+ Lifejacket (formerly type 1 PDF), a valid fishing license or permit (if required). The angler shall then be given their key-tag. Registration, Briefing, Start and Finish times shall vary from event to event. Please read the info sheet relevant to each event to confirm times. The tournament registration shall be on the morning of the competition and will close 30 minutes before the tournament begins. Failure to register within the allocated time shall result in an angler starting in the last position available regardless of reason for absence. Competitors shall register with the tournament officials BEFORE the competition briefing. It is a requirement of entry that all anglers shall attend the entire briefing. Failure to do so shall result in an angler starting in the last position available regardless of reason for absence. The Australian Championship shall have the Registration and Briefing the evening before day one of the tournament. Failure to attend the Registration and entire Briefing may result in an automatic disqualification from the championship. Navigation day at the Australian Championship is day one of the tournament. Navigation day at the Australian Championship is day one of the tournament. Order of entry, single file start e.g. #1 entry first away, #2 entry, second start, etc. Split start times, split finish times. First 50, Group A, Second 50 Group B. Group start, all competitors start together in single start line. Gate start in which all anglers start on single start line, however split direction at the gate. Other as required for safe fleet start. All competitors shall make their way to their desired spots by pedal or paddle-power. All competitors shall pedal or paddle across the defined start line and in the specified direction. For the Australian Championship, the first day start sequence shall be announced at the briefing. The tournament organisers reserve the right to modify any starting order and procedure as required. The Tournament Director shall announce the start method at the official briefing. Wet anything that the fish shall touch (hands, net, measuring device). Release or place your fish in the boat’s Livewell as quickly as possible. Repeat for all fish caught. Fish shall only be caught during the designated times and shall be kept in the angler’s Livewell. Once an angler has caught their limit and they then catch another fish they shall immediately release one of their fish. Anglers caught fishing with more than the competition defined Bream bag limit shall be immediately disqualified. The tournament organisers reserve the right to check kayak Livewells during competition hours. At any stage pre-tournament, during and at the completion of the tournament, any tournament staff member has the right to inspect an angler’s Livewell. Competitors must be mindful of changes in shallow water areas where the water temperature may spike causing distress to the fish. Anglers must fill their Livewells in deeper cooler water before entering shallow water areas. Key Tags shall be placed on the key tag board immediately on return to the event site, at completion of fishing. Tags not returned by the allotted weigh–in time shall be penalised at the rate of 50 grams per minute. If an angler returns later than 15 minutes after weigh-in time, the angler shall be penalised 750 grams and all fish caught shall not be weighed. There shall be NO exceptions to this regardless of circumstance. Weight penalties shall be deducted from the anglers accumulated bag weight and may incur a negative score. Tournament staff are NOT permitted to place the key tag for anglers. The Key tag shall be placed on the key tag board by the angler. Any late penalties shall be deducted from the Atomic Big Bream prize calculations as well as the overall bag weight. Kayak anglers may return to the weigh in location earlier than the allotted time, however, once their key tag is placed on the key tag board, the angler’s session is deemed over and they shall not return to the water and they shall wait until the designated weigh in time, mentioned at the tournament briefing, to weigh in their catch. Only Hobie staff and media are permitted to weigh-in early. The bag limit shall be announced by the tournament director at the briefing. Bream shall be the minimum state legal length, plus 1cm (QLD – 26cm, NSW – 26cm, VIC- 29cm, WA- 26cm) and shall be measured to the tip rather than to fork. For example,the legal state length in Queensland is 25cm to the tip, this shall mean that in QLD rounds the minimal legal length shall be 26cm to the tip. Any undersized fish weighed in shall be disqualified from the angler’s bag. Only live Yellowfin, Black and Pikey Bream are eligible for tournament points. Fish must be caught during the designated times and kept in the angler’s Livewell. Anglers must catch their own fish and weigh-in only fish they have caught using Hobie Kayak Bream Series legal methods. The fish’s mouth shall be closed while measuring. Bream shall be weighed in order of angler arrival to the bump tub line up. Details of the weigh-in site and times shall be established during the briefing prior to the start of the event. Each angler may weigh up to the session maximum bag limit of Bream. Bream shall be weighed collectively with “Atomic Big Bream” candidates weighed individually. Note: It is the angler’s responsibility to identify these fish to the weigh master. If the angler believes the weight that is represented by the scales is wrong they can request the scales be re-tared and the bag reweighed. If this is the case the angler shall then take the second weight regardless of whether it is heavier or lighter than the first weight that was recorded. Dead fish, or those unable to swim away from the release point before the weigh-in has finished (as deemed by the event organisers) shall be reweighed and deducted from the anglers’ bag weight. At all times, the wellbeing of the fish shall be the responsibility of individual anglers. When two or more anglers finish the tournament with the same Total Bag Weight, the angler with the largest single day bag – on any one day – shall be declared the winner. If neither angler has a larger single day bag, a tie shall be declared. Example 1: John Smith and Jack Brown shall tie because they had the heaviest bags – on any one day – of the tied anglers. Sam Freddo shall take the next place. Example 2:Sammy Jane shall take the higher place because she had the heaviest bag – on any one day. Example 3: In this scenario the anglers shall be a tie as no-one had a higher bag weight – on any one day. It is the responsibility of all competitors to obtain the necessary angler permits or licenses for the waterway in the state being fished. The tournament organisers shall not allow a competitor to continue in the tournament without the legal licenses and permits. All documents shall be brought to the registration and shown at kayak and equipment inspection. Anglers may fish any line class with spin, baitcast, spincast or fly fishing tackle. Trolling is not permitted – lure and fly CASTING only. Trolling is defined as using the momentum of a propelled kayak to give the lure action. Casting along a stretch of bank under pedal or paddle power is permitted if using the pedal or paddle power to maintain the kayak’s position. Before altering a kayak’s position, the line shall be removed from the water. The tournament organisers reserve the right to disqualify anglers deemed to be purposely trolling in defiance of the spirit of Hobie Bream events. Kayaks can be dragged across a sand bar that is covered by water during a high tide. Kayaks cannot be dragged across or over any object, bank or structure that is not covered by water during the high tide cycle in the tournament arena. Anglers are not permitted to fish from outside their kayak at any time during sessions, including fighting and landing fish. Any restrictions, non-boating or non-fishing areas shall be adhered to. Failure to do this shall result in either disqualification from the session or the tournament, plus a maximum penalty of 750 grams may be applied. If asked to leave a private marina, oyster lease or other facility, anglers shall do so immediately and shall not return for the remainder of the tournament. Anglers may only use one rod at a time while fishing all Bream events. This includes such cases as when a lure is snagged but still attached to the rod. Anglers cannot pick up another rod and begin casting as this would constitute using two rods. The tournament organisers reserve the right to place cameras or media devices on kayaks. In the case of physical or medical emergencies, the tournament organisers shall judge the acceptability of catches and reserve the right to weigh-in or refuse early weighing of fish. Any complaints regarding breaches of the rules shall be submitted in writing, on the Official Protest Form, to the on-site Tournament Director within 15mins of the close of session, as announced by the Tournament Director. Disqualification of catch for the day. Disqualification from future Hobie Fishing tournaments. A maximum penalty of 750 grams may be applied. Any concerns regarding clarification of rules can be discussed with the tournament organisers BEFORE the start of the tournament. Interpretation and enforcement of these rules shall be left exclusively to the Tournament Director or his/her designee at a tournament. In the event of a rule violation, the Tournament Director or a rules committee shall impose such sanctions as deemed appropriate by them, including without limitation, disqualification, forfeiture of prizes, entry fee and prohibition from participation in subsequent tournaments. The Tournament Director’s decision is final. The kayak rigging area, scoring area and registration area, are deemed work places and as such, are designated non-smoking areas. Session time start will be 7am or first safe light. Session finishing time will be 2pm or as instruction by the Tournament Director. Session times will be announced at the mornings briefing and listed on the official Notice Board. Either days session times may be extended in the event of weather or system issues (floods, tides etc) in an effort to not cancel the event. In the event of bad weather, a minimum of 6 hrs over the 2 days are required to be fished to constitute an event. If the event is unable to meet the minimum hours required, the event will be cancelled or postponed to a future date. All anglers in the Australian Championship shall fish from factory supplied, Hobie kayaks. Anglers shall provide their own tackle and safety gear for the Australian Championship. Places shall be allocated for the 2019 Hobie Kayak Bream Series Australian Championship through Hobie Kayak Bream Series qualifying rounds, AOY, Wildcard and VIP. Once the total tournament boat number has been allocated extra Australian Championship spots may be made available to anglers based upon AOY as of the last qualifying round for 2019. The winner of the Hobie Kayak Bream Series Australian Championship shall receive a wildcard entry into the following year’s Australian Championship, provided the angler competes in a minimum* number of rounds in that year’s Hobie Kayak Bream Series. *Minimum Number of rounds shall be 5. Compete means, enter the event, attend the briefing and fish both days of the event. Hobie reserves the right to invite wildcard and VIP anglers to the 2019 Australian Championship. Bumps are based on the number of rounds. If more than two bumps are required, the next invitation shall be at the sole discretion of Hobie. In the event of a full cancellation, a rescheduled date will be announced within 1 month. Only official tournament apparel may be worn during Pre-Fish and Competition Days. Anglers who do not return the key tag, (return late) on the official AC Prefish day shall penalized 1 hour for every 15 minutes late. This penalty shall apply to the first day of the championship only. Anglers who are more than 1 hour late on pre-fish shall be disqualified from the first day of competition only. The Australian Hobie World Championship Team positions shall be awarded to the top anglers from the highest Angler of the Year (AOY) Points at the end of the Hobie Kayak Bream Series. In the result of a tie, any tie will be broken using a count back system. The angler with the highest and subsequent scores in their AOY results from the 2019 Hobie Kayak Bream Series will gain the higher spot. Angler of the Year points shall be calculated on Hobie Kayak Bream Series results. Points from each Hobie Kayak Bream Series event shall be allocated according to placing. Anglers catching no fish shall be awarded 0. The BREAM Kayak Angler of the Year shall be awarded to the angler with the highest accumulation of points from their best five tournaments at the end of the qualifying rounds for the year. Angler of the Year ties shall be settled by a count back, the angler with the best performance in the most recent tournament shall gain the higher placing. Violation of, or failure to comply with, any of the rules of Hobie Fishing tournaments. Consumption and/or possession of alcoholic beverages or any kind of mind-altering substance during registration or tournament hours extending through the weigh-in procedure. Abuse of, or addiction to, mind-altering substances. Conviction of a felony within the past 36 months. Suspension/disqualification, probation or ban from any tournament or fishing organisation. Any other words, conduct or actions reflecting unfavourably upon efforts to promote safety, sportsmanship, fair competition and compliance with tournament rules, or which fail to comply with the standards set forth in the first sentence of this section. This includes verbal communication and social media. In case of any conduct not complying with the standards outlined above, Hobie Fishing shall have the right to refuse an application to compete, to deny a confirmed application to compete by returning the entry fee (minus deposit) or to disqualify a contestant. Hobie Fishing shall encourage Fisheries and Boating Officers to attend all Hobie Fishing tournaments to police safety regulations, registration, relevant boating legislation as well as alcohol and drug laws. It is expected that anglers shall, at all times, conduct themselves in a manner becoming a professional sports person. Behaviour that shall reflect unfavourably on Hobie Fishing, its members, representatives and sponsors shall subject the angler’s catch to penalty or disqualification. It is a condition of entry that all anglers acknowledge and accept the Model Release and Liability Waiver included on the entry form. The responsibility for a person to participate in the Hobie Kayak Bream Series is his or hers alone. I am conscious of the dangers inherent to kayak fishing. I agree that none of the organisations or persons involved with the Hobie Kayak Bream Series including Hobie Cat Australasia Pty Ltd, sponsors, promoters, or any other involved persons or parties accepts liability for damages due in negligence or any other reason whatsoever while conducting or connected with this event for injury, to property or person, I may suffer while participating in the tournament and while upon the event premises. I know the risks of danger to myself and my property while preparing for and participating in the tournament, and while upon the event premises, relying upon my own judegment and ability, assume all such risks of loss and hereby agree to reimburse all costs to those persons or organisations connected with this tournament for damages incurred as a result of my negligence. Furthermore, I agree to be bound by the Hobie Kayak Bream Series Rules and any other rules that govern this tournament. The organising authority will not accept any liability for material damage or personal injury or death sustained in conjunction with or prior to, during, or after the tournament. The Tournament Director has the ability to change, amend or delete a rule as necessary. Changes will take place prior to the start of a session and will be announced at the session briefing or prior to the start time of any round or championship. Any changes to the rules made during an event will be written and posted on the official notice board and website. It is the angler’s responsibility to check the notice board. Online entry will close at 1 pm on the Thursday prior to the event. Online entry will close at 10 pm on the Thursday prior to the event.